We all aspire to grow old and as we age, we want to keep our independence. 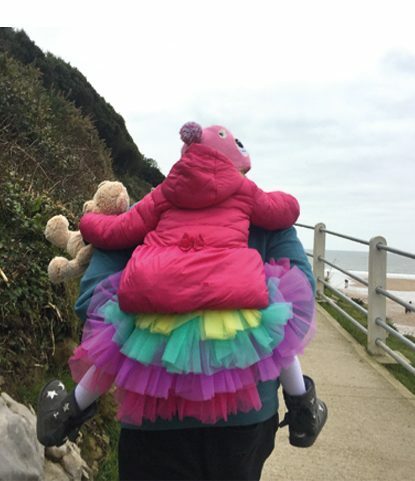 The commonest reason why people in the UK say that they are disabled is not because of dementia, or visual or hearing issues, but because of lack of mobility. Being mobile is crucial for continuing to enjoy a good quality of life. So, how can we make sure that we stay mobile and keep our independence? In 2011, a Japanese group of researchers found that the strength of the lower back muscles was strongly associated with level of independence. The flexibility of the spine also correlated well with how fit and well people are. 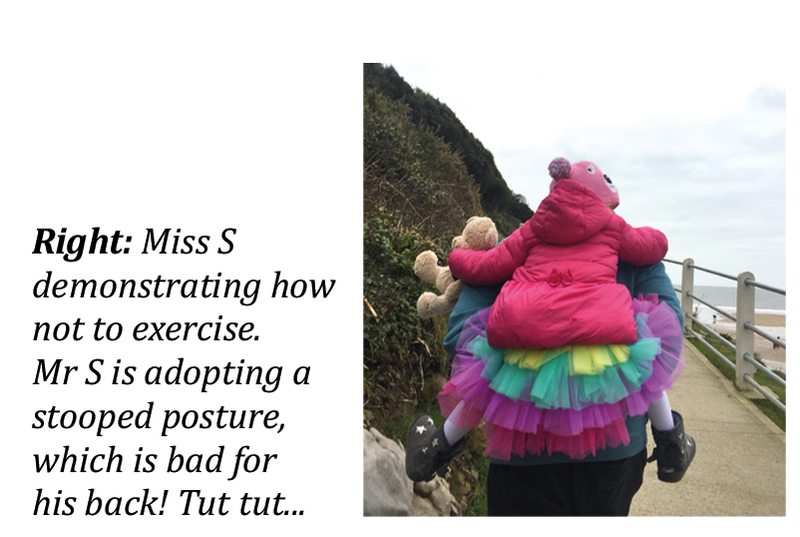 So, it is reasonable to assume that exercises which can maintain spinal strength and flexibility should help us to keep fit and well with a good quality of life. This assumption, although not backed by evidence, is supported by the NHS, with the NHS websites claiming that exercises like walking, swimming and yoga help to avoid or improve back pain. There’s even a fact sheet on how to live well over the age of 65 years old, https://www.nhs.uk/Livewell/fitness/Documents/older-adults-65-years.pdf with advice regarding daily exercise to keep fit and healthy. Osteoarthritis is very common and can increasingly become a barrier to exercising as the arthritis seems to aggravate the painful joints. 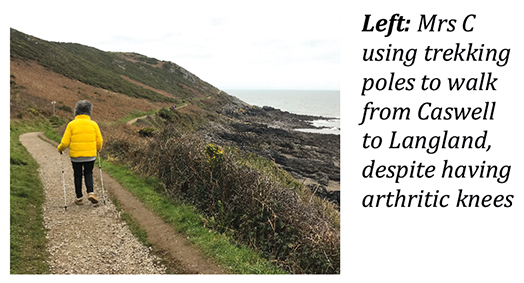 There is no evidence that exercise accelerates the wear and tear of joints (arthritis) and there is good evidence to show that if we give in to the joint pains, we gradually become less and less mobile. When we lose our mobility, our worlds essentially shrink until we are restricted to a room with a television, otherwise known as ‘house-bound’. When we think of osteoarthritis causing pain, such as back pain, we think that our joints have “worn out” due to wear and tear. When we think about our joints in this way, it’s easy to assume that more ‘wearing’ of our joints by usage simply causes more ‘tearing’ ie. we are like machines which become more worn with more usage. The fact is, however, we are constantly wearing and repairing, rather than wearing and tearing. When we use our joints and exercise our backs, we are maintaining our muscles, which support our joints and keep them in good alignment. The shock-absorbing discs in our spine actually rely on movement for their nourishment, since they do not have their own dedicated blood supply with blood vessels. Remember the aches and pains that we used to experience after Sports Day at school? When we only exert ourselves now and then, it’s normal for us to feel pain afterwards, as the body is not accustomed to short bursts of aerobic activity. When we regularly perform less aerobic exercises, how-ever, such as taking a daily walk, then we are less likely to ache afterwards, since our muscles acclimatise to taking regular exercise. The regular exercise helps to maintain, rather than wear out our joints. Regular exercise also releases endorphins, or happy hormones, with plenty of evidence showing that regular exercise is a great way to rid us of unhappiness. There are instances where problems with our bodies can cause heavy legs irrespective of the amount of repeated exercises done. Narrowing in the spinal canal, for example, can cause less room for the spinal nerves (spinal stenosis), so that your legs always get tired and heavy after walking a certain distance. If this is the case, then it may be worthwhile talking with your GP about obtaining an MRI of the spine to see whether more room is needed for the spinal nerves, ie. spinal surgery. 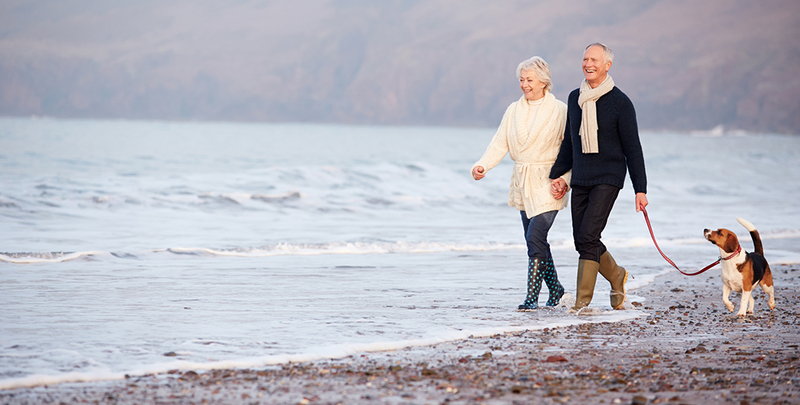 For osteoarthritic joints, however, if the walks are too much for them, then off-loading the joints can help. 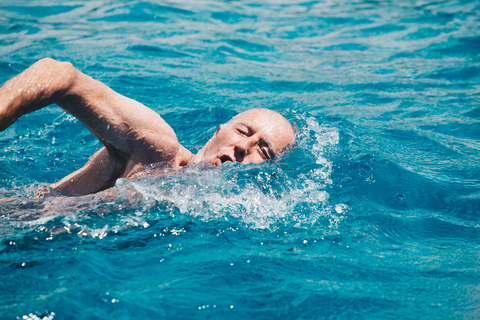 This can be achieved by having a normal body mass index (BMI), using trekking poles to distribute weight between arms and legs when walking, or minimising the influence of gravity altogether by exercising in a swimming pool. While the prospect of getting into a cold pool in the depths of winter isn’t an attractive one, there are plenty of warm water pools which are perfect for stretching and performing exercises (hydrotherapy). 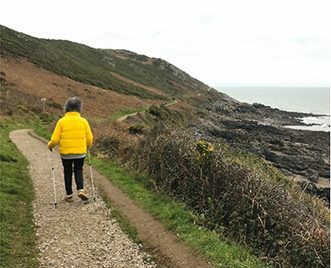 Mrs C (right) using Trekking poles to walk from Caswell to Langland, despite having arthritic knees. We walk further when we use trekking poles, or staffs. Walking sticks, however, tend to cause us to adopt a stooped posture, which is bad for our backs. 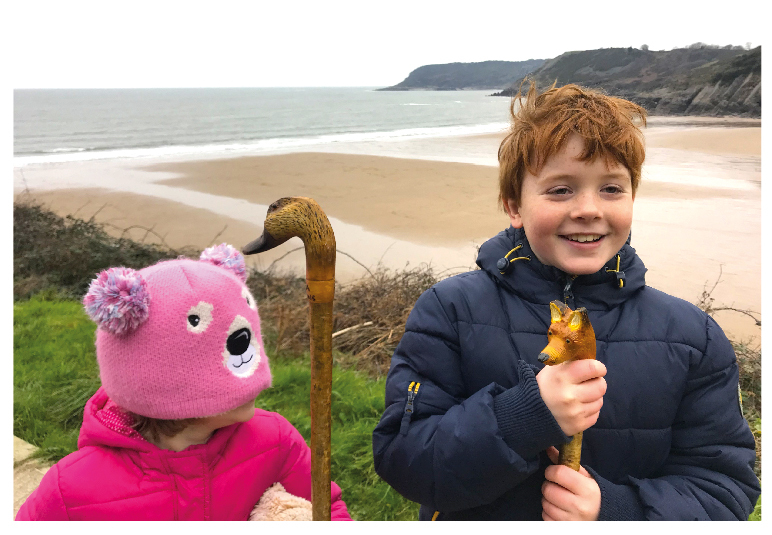 The children here are using beautifully- hand made sticks made locally by a talented craftsman as his hobby. I’m unashamedly show-casing a small sample of his sticks here! He’s quite shy, but if you would like to see more of his work, please don’t hesitate to contact me on ionacollins@fixmyspine.co.uk and I’ll put you in touch with him. Miss S (right) demonstrating how not to exercise. Mr S is also adopting a stooped posture, which is bad for his back! Tut Tut….